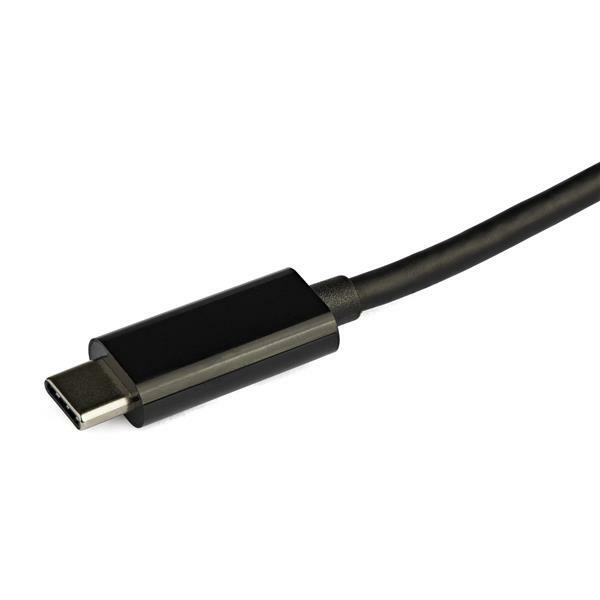 Expand the connectivity of your USB-C™ laptop with this USB-C VGA multiport adapter. It connects to your USB-C or Thunderbolt™ 3 port to add VGA video output, a USB 3.0 (Type-A) port with Fast-Charge capability plus a Gigabit Ethernet network connection. Mac, Windows® and Chrome OS™ compatible, it’s the ideal accessory for your MacBook, laptop, tablet, Chromebook, smartphone or other USB-C device (with support for DisplayPort Alt Mode). 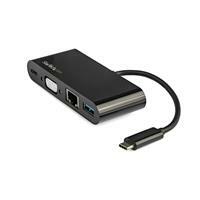 This USB-C adapter lets you connect your USB-C laptop or device to an external VGA monitor or projector to give engaging presentations in the boardroom, classroom, or meeting room. It supports HD video resolutions up to 1920 x 1200p @ 60Hz. Compact and durable, the USB-C multiport adapter is ideal for mobile use, eliminating the need to carry multiple adapters with you. 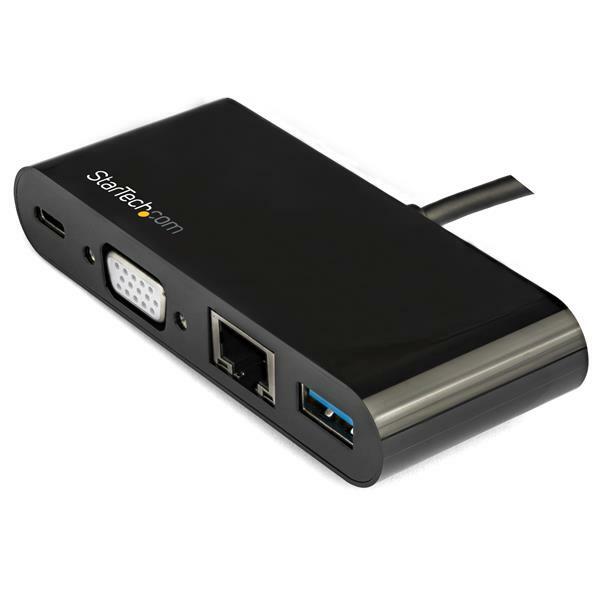 Set up a workstation with a Gigabit Ethernet port and a USB 3.0 port to connect an existing USB device, or fast-charge your smartphone or tablet. The adapter features a USB-C port that supports USB Power Delivery 2.0 (60W) so you can use your laptop’s USB-C power adapter to power both your laptop and the multiport adapter. The adapter features an attached cable (5.6 in. / 143 mm) to ensure easy setup and supports plug-and-play installation, with no additional software or drivers required. The DKT30CVAGPD is backed by a StarTech.com 3-year warranty and free lifetime technical support. Note Not all USB-C ports support the full functionality of the USB Type-C standard. Ensure that your host USB-C port supports USB Power Delivery 2.0 and DP alt mode. The adapter can connect to a host laptop’s USB-C port that doesn’t support USB Power Delivery 2.0. However, in this configuration if a power adapter is connected to the multifunction adapter, it will not pass power through to your host laptop. Your laptop might have specific charging requirements. For example, if your laptop requires exactly 60W of power and an adapter consumes some of the 60W, your laptop might not recognize that it is getting enough power. For more information about Power Delivery, refer to the manufacturer of your hardware.